Malaika Thorne in Dansa, photo courtesy of the Harvard Post. March 24th, at 7:30 p.m. Since the spring of 2002, the Cronin Auditorium in Harvard, Mass. has rocked to the rhythms of high-energy dance and music of West Africa. In recent years, the repertoire has been expanded to include music and dance from the African diaspora, contemporary as well as traditional dance forms, including hip-hop and Afro-fusion selections. Performers this year include: Teriya Dance Company; Troupe Teranga, under the direction of Alice Heller; the “Hip-Hop Mamas” from Sudbury, led by Elizabeth Bernstein; a group of senior women called Dance ‘n Feet; and Latin, jazz and contemporary dance groups from the Movement Center in Acton and the Harvard Academy of Dance. 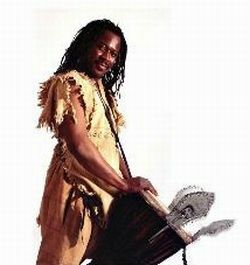 A fantastic group of drummers will be led by Malian Master Drummer Moussa Traore. The program includes traditional dances from Mali, Guinea and Senegal, plus dance and music from the African diaspora – Hip-Hop, Break dance, Jazz, and more! Ticket are available at the door : $15 adults, $5 students, kids 4 and under are free. All the proceeds of these two shows go directly to our new school projects scheduled for the fall of 2012.